The ConDem government yesterday followed up previous cuts announcements with further cuts of £2bn and a shelving of planned projects worth £8.5bn, adding a total of £10.5bn to the initial £6bn worth of cuts. 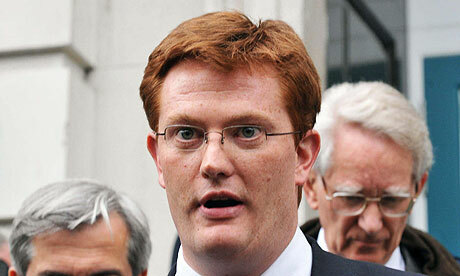 The dopy-looking Liberal treasury secretary Danny Alexander was sent before the cameras to cop the heat for this. There should, you would think, be no discomfort in this for a party that is led by its most unashamedly neoliberal faction, a faction that in some respects has pushed the Tories to the right. And at the moment, the polls suggest that the propaganda campaign is winning. Most voters are willing to blame the last government for the budget cuts, thus suggesting that the narrative of profligate Labour spending causing the deficit has successfully framed the debate for the time being. This is not to say that people favour cuts - the polls also register real worry about how deep the cuts will go, and how rapidly they will be introduced. The aggressive Tory agenda now being imposed was overwhelmingly rejected at the polls. But it's hard to turn on the television or open a newspaper without being advised in alarmist, hysterical tones that there is no money, and it's all the fault of public sector fat cats. However, in the long term, there is a real problem for the Liberals in being seen as part of a government of right-wing millionaires cutting spending for the poor. And some of the previously announced spending reductions hit the working class hard. Cuts in housing expenditure, in free school meals for the poor, and in childcare. The latest cuts hit job creation schemes, infrastructural projects, hospital construction and development. And, of course, it's just the beginning. The economic logic of the cuts has been distilled for us into a few mantras: we need confidence in the markets; we need a balanced budget; and we need growth led by the private sector. But if anyone's buying this, they won't be in the highly probable event of its resulting in a deflationary spiral. There is no urgent need to pay off the deficit, and doing so at this time and in this way is econocide. As Tim Binding points out, the logical thing to do from a point of view of securing growth would be to redistribute wealth. Well - the cuts do redistribute wealth, but in the wrong direction. The budget cuts are a class project, not a programme for economic revival. Call me a blithe optimist, but I don't think it will be long before this becomes glaringly apparent to the vast majority of people. I give it a few months, though this would not by my first incautious prediction this year. Which raises some questions for the stability of the ruling coalition. The Liberals, already down 10% in the polls on their pre-election standing, and sometimes as much as 5% below the votes they polled on 6th May, should lose heavily from this. They have benefitted from a surge in support for 'third party' candidates, rising to levels last seen in the 1920s, but their voters have never been a Thatcherite bloc. Ross McKibbin describes the Liberal vote as the least regionally concentrated of the parties, a source of weakness for them in the current electoral system, but this reflects a geography of class, as the Liberals are the only party to have a genuinely cross-class electoral base. They could now lose whatever gains they made in working class, previously Labour heartlands. The C2 vote, usually characterised as the "skilled working class" - really a section of the skilled working class - gravitated away from Labour in various directions, giving both the Liberals and the Tories some of their gains in the last election. But that is not a loyal voting base, and a shift in that vote as the cuts exact their toll is likely to continue to squeeze the Liberals. The Tories may not lose as much, as they could make up whatever they lose in C2 votes with a gain in the AB votes lost to Labour for a decade or so. But their support in the election was only 37%, and it would only take a small shift in votes to give the plurality back to Labour. To the despair of election-night commentators, the May 6 count produced no uniform pattern. 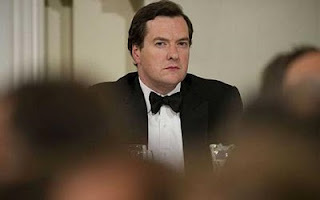 ... Britain awoke on May 7 to the likelihood of a weak Tory government and a return to the polls by 2012. With protests raging in Greece against the PASOK austerity measures, and acrimonious disarray among European governments on how to deal with Eurozone banks’ imbrication in the looming sovereign-debt crises, this was not an outcome Whitehall or the City of London wished to see. ... Austerity measures had been delayed until the May 2010 election was out of the way. The prospect of a minority government, battling to push through closures and redundancies under the shadow of further popular reckoning, was not one that Britain’s rulers could contemplate with equanimity. That the "pragmatism and common sense of the British constitution" should come to the rescue of capital, saving it from "ropey electoral numbers" and the unimpressive ambivalence of the British public, should be no surprise to readers of Ralph Miliband. But though the constitutional fix is an important prophylactic, it is no guarantee that the government will not fall. The state, used to decades of stability, has not had to wage a protracted fight with the working class for a generation. The ruling class is far more fractious than it has been for years, lacks the ideological coherence and leadership it possessed when it last had a fight of this magnitude on its hands. It may well be somewhat out of shape. The struggles that now ensue will inevitably play out to a considerable extent inside the Labour Party. The public sector workers are the bedrock of Labour support. The public sector unions bailed them out to a great extent in the recent election. That wasn't unanimous or wholehearted. The PCS, which has been in battle with the Labour government for a decade, has never been affiliated to the party, and its political fund is not set aside for the Labour Party. The RMT was of course expelled, and the FBU disaffiliated. There has been loud grumbling in other unions like the CWU. But by and large, public sector workers remain Labour, and they are the ones who are going to be in the frontline of the cuts, and the fightback. This has two key implications. The first is that union leaders may, to avoid embarrassing the Labour leadership and keep their powder dry to help 'their' party back into government, try to keep a lid on strikes and protests. They will certainly act as a conservative force. That does not mean that they can be bypassed, or that they should be treated as an 'enemy' on a par with the bosses. But you don't have to be Dave Spart to see a potential problem here. The second implication is that if rank and file militancy pushes the union leaders to the left, it is likely to pressure the Labour leadership from the left as well. Diane Abbot is the only left-wing candidate for the leadership. She is the only candidate who can be relied on to consistently oppose the cuts, and she has more credibility in doing so than the Milibands, Balls or Burnham. Abbott is unlikely to win, but she has good name recognition, is popular with the public and constituency Labour members, and is getting some decent play in Labour's daily tabloid, The Mirror. She doesn't have the campaigning record of John McDonnell, who has real support in the trade union movement, but she's on the right side of most arguments, and there is some anecdotal evidence that she has shifted the leadership debate to the Left. Given that Abbott is a member of the Campaign Group and is seen by the Blairites as a relic of the hard Left they spent the 1980s and 1990s trying to crush, the fact that they have to adapt to her somewhat is not an insignificant development. At any rate, whichever one of the disgusting New Labour quad actually wins the leadership, they are all aware of how much they depend on the organised labour movement, and of the need to solidify their standing in working class communities. They will try to resolve this in the most reactionary way possible, say through immigrant-bashing and authoritarian populism on 'anti-social behaviour'. But that relationship of dependency will make it very difficult for them to ignore any struggles that take place. And it does mean that Labour members and supporters will be at the heart of any cuts campaign, and that anyone who thinks they can ignore or bypass the Labour party is deluding themselves. Not that you should join the ranks of lefties flooding back to Labour - it's not an empowering experience. But just don't imagine that the resistance to the cuts will take place without the central involvement of the Labour Party, for all the problems and opportunities that presents. I would infer that this also means that in electoral terms the coming period will see a consolidation of Labour's working class vote, and fewer opportunities for left-of-Labour campaigns. A first step toward building the anti-cuts campaign will be the budget day protests next week. Large, confident protests will disrupt the inevitable attempt to present the cuts as some sort of consensual process with a democratic mandate, so do attend wherever you can.